Often considered the new face of chemical peeling, HSA Dermal Clinic is proud to offer the most advanced Enerpeel treatment in London. Enerpeel takes a significant step away from traditional chemical peels, which in many instances have the potential to be traumatic and abrasive to the skin. Enerpeel has been designed to deliver key nutrients and ingredients deep into the skin, rejuvenating and remodelling the skin without surface trauma or excessive exfoliation. From sun damage to acne to thread veins and many more common skin conditions besides, Enerpeel is proving to be a remarkable new-generation chemical peel. From our advanced clinic at the heart of London, we provide a comprehensive range of Enerpeel treatments to suit all requirements. Gentle and with minimal side effects, there’s zero downtime to worry about and results are often visible instantaneously. 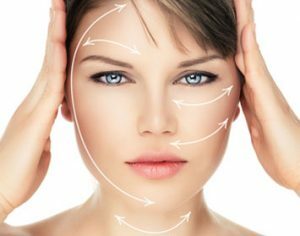 For more information on any of our Enerpeel treatments in London, contact a member of the HSA Dermal Clinic team today. A new-generation chemical peel for today’s discerning client, the incredible Enerpeel chemical peel is making huge waves worldwide. With a firm focus on gentleness, Enerpeel goes beyond traditional chemical peels by working from the inside out. Due to the somewhat abrasive nature of many traditional chemical peels, the skin may be damaged while they are carried out. In the case of Enerpeel, this incredible treatment doesn’t irritate the surface of the skin, resulting in the deepest possible delivery of nutrients with absolutely no surface trauma whatsoever. Enerpeel uses the latest technology to maximise the benefits of traditional chemical peels, with absolutely none of the associated downsides or side effects. Performed for the purpose of remodelling, restructuring, rejuvenating, reducing sun and age damage and controlling common skin conditions, Enerpeel is a safe, effective and affordable alternative to typical chemical peels. Contact a member of the HSA Dermal Clinic team today for more information.